(MoneyWatch) Welcome back to my second post this week in my series, 16 Weeks to Plan Your Retirement. This post, along with my next few posts, will help you estimate all your sources of retirement income, building on what we've learned in the previous weeks of this series. To generate the money you need for retirement, you'll want to piece together different sources of income; there's no one magic bullet that will do it all for you. This post covers Social Security benefits, while my next posts will cover determining income from your retirement savings, pensions and work. As described in weeks seven and eight of this series, you'll need to decide at what age you want to start receiving Social Security benefits and then estimate the amount of your monthly income at that age. If you're married, you and your spouse will need to decide when to start your spouse's income and estimate how much that will be as well. You don't need to start Social Security benefits when you stop working, and there can be good reasons for not doing so. Similarly, you and your spouse don't need to start Social Security benefits at the same time. Again, there can be good reasons for this as well. To estimate your Social Security income, use the Social Security Administration's retirement estimator. Enter your Social Security number and answer a few questions -- the calculator will find your wage history and then use it to estimate your Social Security income at three different ages: at 62, your full retirement age (FRA) and 70. You can change the estimates using a different retirement age and can also tell the system when you plan to stop working. If you're married, you'll also want to estimate your spouse's Social Security benefit. If your spouse worked and paid into Social Security for 10 years or more, you can use the retirement estimator described above just as you did for yourself. If your spouse didn't work outside the home or worked sporadically, he or she may be eligible to receive a benefit based on your earnings record. This only applies if it would give your spouse a larger benefit than your spouse's benefit as a worker. This special spouse's benefit is equal to half of the working spouse's Primary Insurance Amount, or PIA, and it starts at your spouse's FRA. The PIA is the benefit based on your earnings record, calculated assuming you had started your benefit at your FRA, and is the beginning point for many Social Security calculations. If your spouse starts the income before his or her FRA, then early retirement reduction factors apply. In some cases, you might decide to start your Social Security income and/or your spouse's income at a date later than your desired retirement age. (See my post for reasons why you might do this.) If you decide to do this, you'll need other sources of income to replace the Social Security benefits you're deferring. For instance, you might need to work part time to fill this gap or draw additional amounts from your retirement savings. There are websites that contain Social Security estimators for married couples and describe strategies that will help maximize the best strategies for claiming Social Security. 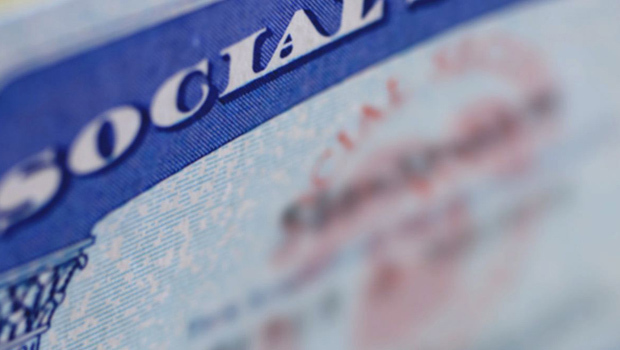 These include Social Security Choices, Social Security Solutions and Social Security Timing. It may take several hours for you to estimate your Social Security income and determine the best strategy for claiming these valuable benefits. Given the potential gain -- $100,000 or more over your lifetime -- you might achieve, it's a very good use of your time. Stay tuned for my next posts that continue to help you put together all the numbers for determining your retirement income and balancing the magic formula for retirement security.